If you’re a runner you know, the job itself is hard enough. There few endurance tests like running. The struggles of taking a new distance, beating your personal best, and striving to hit the last mile are building blocks to becoming and STAYING physically fit. The last thing you want is more difficulties standing in the way of you and your running goals. You’re already balancing family, work, and social obligations…. and somehow still finding the time run (but barely). Sometimes, you don’t make it out, and other times you run double than you did the week before. Basically, you’re crossed the hardest part off your list… and that’s motivating yourself to tie on those running shoes, plug in your headphones, and just go. When heading out for a run you need to remember to take care of your body, have the peace of mind to explore, and make sure you don’t get lost. If you have children, the thought of leaving your house for an hour without a point of contact between you and your kids will sends chills down your spine. I wouldn’t even think about running without music (are you kidding me?)! Hearing your own panting breath repeatedly isn’t always the most motivating thing to push you to finish your workout. And the worst case, without the proper equipment, you could even be prone to injury. But, it gets a little bit easier with these solutions. Here’s 8 products that will change the way you run forever. What’s worse than tripping over your own feet?! Especially when you’re running and you’re in the zone. Your face is the last thing you want scraping across the pavement. My shoulders are clenching just thinking about it. Sometimes the double-knot fails you, and it could really risk some serious injury. These lace locks are available in different colours and sizes. The closures have magnetic safety clips, making them incredibly strong for running, jumping, and whatever else you get up to. These lace locks are a step in the right direction for your next run. When you have an injury, the temptation to move your body and continue to stay fit still is there and maybe even heightened. This tape lifts your skin away from muscles increasing the blood circulation, providing fast and effective pain suppression and relief, joint protection, fatigue reduction and support for muscles, ligaments and tendons aches and injuries. You can use it on your shoulder, neck, elbow, lower back, knee, ankle and other areas. If you’re injured, we feel your pain! Make it a little better with this fix. More likely than not, you spend your days at your job and save running for early morning or in the evening…. both times where the light is dim and it might be difficult to see you on the side of the road. The neon snap on reflective bands lets you move safely in poorly lit situations and protect yourself from danger. Simply attach the safety band to your arms, legs or wrist when riding a bicycle, running, climbing or walking the dog. You won’t feel the bands on your arms or legs, but you’ll feel that extra peace of mind while you run, knowing that you’re protected. 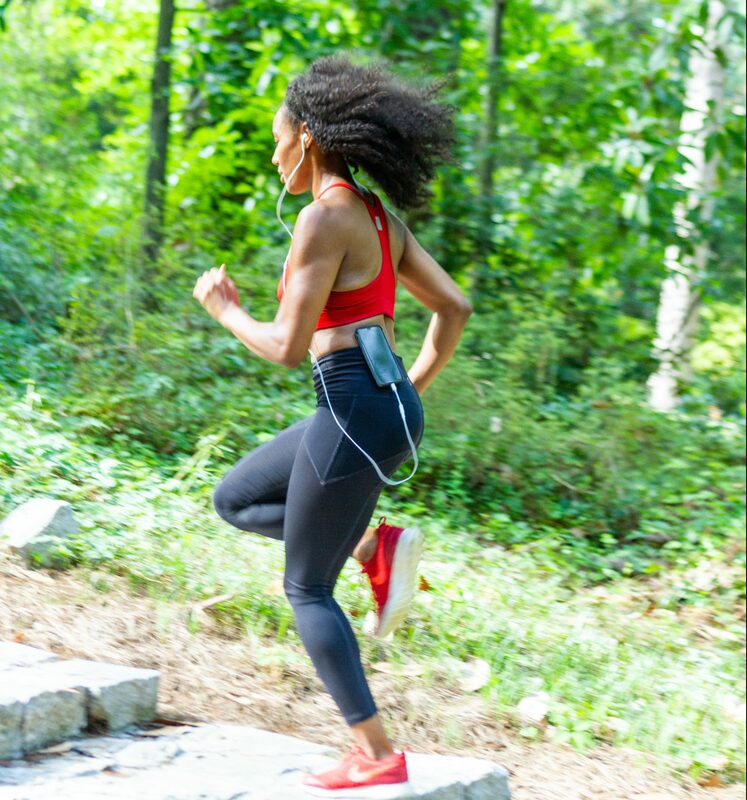 With SlimClip Case you can clip your phone to your waist and run, jump, dance – any movement, without compromising on function or your style. You don’t have to grip your phone in your hand, bra stuff your phone, or deal with a bulky & awkward armband. Especially if you’re running outside, NOTHING is attractive about an armband tan…..
With the SlimClipCase you can change your songs as frequently as you like. It’s easy to access your phone to snap a picture of the beautiful scenery you come across during your run. 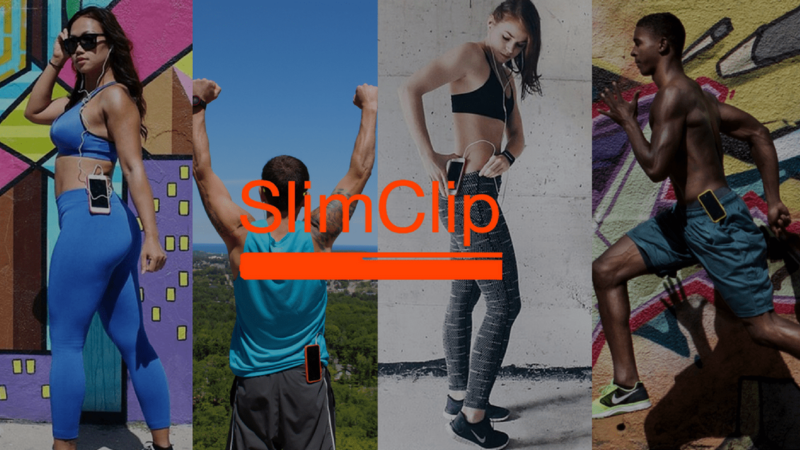 It’s also the thinnest clip case in the world – so no worries about it looking bulky on your phone when you’re not working out. Problem solved! It’s extremely important to stay hydrated on your run, especially if you’re into long distance. But why should that weigh you down during your run? With a small backpack like this, you won’t be weighed down, but you’ll be able to store 2L of water on your back. The pack is designed to do the job of storing water in the lightest possible way. Who really wants to take a big backpack on their run anyways? We can’t deny hands free is the best way, especially when running. The dreaded phone drop the ABSOULTE worst. You’re minding your own business, getting into the zone and then all of the sudden it feels like someone is ripping out the inside of your ears! Sometimes, after your phone drops on the ground and pulls your headphones with it, your ears are even too sore to put your earbuds in again. Ouch. But then, Apple changed the game with wireless headphones. 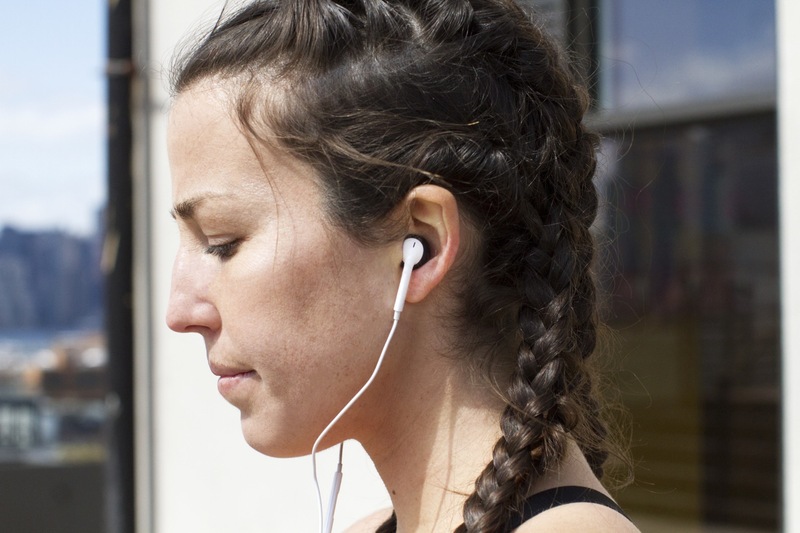 Now you can move freely and not have to worry about getting tangled up in your headphones or having your headphones rapidly and violently yanked out of your ears. This is all fun and games, until your little wireless earbud falls on the ground 2mm from a sewer grate. This is why you need AERZ. The earbud cover is designed specifically for Apple AirPods and Apple Earbuds that enhances the sound quality, security, and comfort of the headphones. You can have your apple and eat it too! Alright, I get it – it can seem a little but excessive to have socks especially designated for running. But hear me out. These socks are designed to keep your feet dry, and comfortable during your run. You won’t have to deal with the annoyance of your sock slipping off in your shoe, needing to stop on the side of the road and take your whole shoe off. The heel tab helps prevent the sock from slipping into your running shoe. There is also reinforced microfiber heel and toe, a microfiber arch band, enhanced elastic grip construction in both arch, and ankle to provide ultimate support and second skin fit. A good set of high performance runners and proper socks will take you places. One product reccomendation isn’t going to fit everyone’s wants and needs. For example, if you’re an interval runner you may want to use iSmoothRun, this will allow you to set your own intervals. Or, you may be the type of runner who likes to explore on long, scenic routes, and map my run is a better option since it enables you log any kind of workout using just your phone or with your favorite device, like an apple watch.